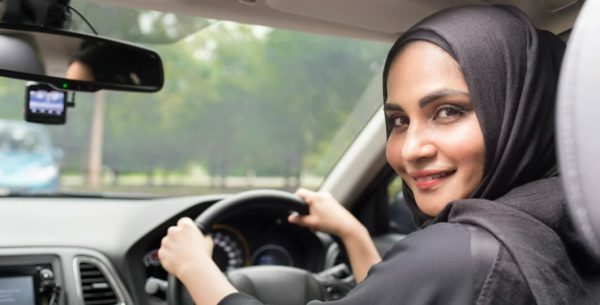 For as long as anyone could remember, Saudi Arabia banned women from driving cars. This infringement on civil liberties is a commonality in the Middle Eastern state. However, last week, a historic victory has been won for woman living in the predominantly Muslim country. For the first time in nation’s history, woman legally drove cars. Saudi Arabia has lifted a ban that has been, nearly, as old as the country itself. A country which has been notorious for its restrictions on human rights instilled a law prohibiting women from operating vehicles on roads and highways. This means the only people allowed to drive were men. The decision came when Saudi Arabia’s King Salman made an effort to loosen his grasp over the socio and economic limitations of the country, to expand its developmental growth. However, there exists some speculation that the decision to lift the ban was made from an economic incentive as opposed to a civil rights necessity. The country could experience a monumental spike in economic output in the years to come from giving more rights to its people. According to Bloomberg Economics, the move “could add as much as $90 billion to economic output by 2030, with the benefits extending beyond that date.” The money would be generated from revenue collected from issuing more licenses to people as well as future endeavors that could position women to become larger consumers. The country is predominantly reliant on its main source of economic power: oil. Part of Salman’s plan is to develop the country’s revenue to become less reliant on its main exporting resource. The plan was set in place to loosen the reliance on oil as the driver of economic power. Now the country has set its sights on a new economic force, which is its own women. Overall, people are rejoicing the fact that the country is pushing itself to a more progressive state. Economic standpoint alone, the ban was costing the country billions. From the social standpoint, the ban was costing women their rights. Saudi Arabia was the last country in the world that restricted women from driving on the roads. Now that country’s culture is shifting to a more progressive, albeit still behind compared to Western countries, it could spark a trend of emerging political reform. It will also mean the country will be producing a slew of defensive drivers now that there are more people on the roads. That’s good news for Saudi Arabia online defensive driving course providers. Regardless of whether the intent was to bring in more revenue or provide Saudi Arabia’s women with a long overdue civil right, the decision has made most of the population ecstatic. Women took to the roads in cars as a form of celebration, while others were finally able to process their driver’s license applications. The ban prohibited more than 3 million people from learning how to drive. When a person receives their license for the first time, a brand-new realm of exciting potential is open to them. They can travel wherever they want whenever they want. Similarly, the lifted ban prohibiting women from driving will present exciting potential for the country’s civil rights.